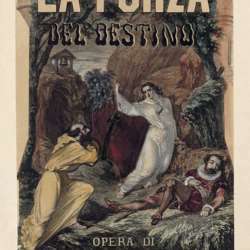 La Forza del Destino in London, with Jonas Kaufmann. I have access to the pre-sale, so if someone is interested send me a private message (advance payment required). Otherwise, the general booking opens on 30 January, you can buy them on the ROH website. Being it with Kaufmann, it will sell quickly. The only reason this will sell less quickly is because in that particular evening he is not singing with Netrebko. Please note that it is a Friday evening. I am not sure myself that I will be able to make it - but the good thing about the Protected content is that you can always ask them to re-sell your ticket, for a fee of 4 GBP. So what I usually do is secure a ticket and then decide. The photo of the activity is a poster for Forza.